6" Tall with a 2" diameter. 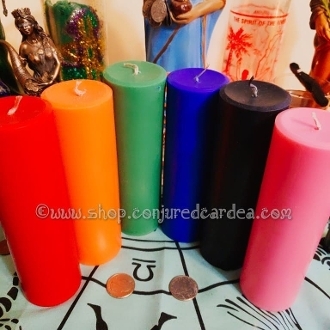 Premium, high quality, sold wax created especially for spellwork and wa divinations. ***choose "yellow" if you want the orange color. Choose your color from the drop down menu. Leave any spellwork specifiations for your needs in the "special intructions" are on your order screen.